The Pakistan Tehreek-e-Insaf government has decided to seek an extension in the tenure of military courts for another two years. 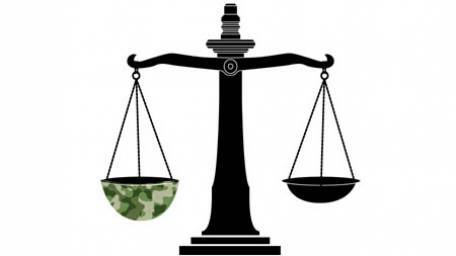 The military courts’ extension will be ending on Jan 6, 2019, after the Pakistan Muslim League-Nawaz (PML-N) extended their period for two years in 2017. The courts were established in 2015, in the aftermath of Army Public School (APS) attack that had killed over 140 people, mostly children, to carry out swift justice in cases pertaining to terrorism. It is however yet to be seen how the government would get the legislation approved, given it has less than a two-thirds majority and has been loggerheads with two main opposition parties, PPP and PML-N, ever since it came to power. Though the PML-N is keeping mum on the matter, the PPP has stated not to support the courts anymore. PPP Chairman Bilawal Bhutto-Zardari has already disapproved of parliament’s role in this regard, saying that he would object to another extension for the military courts at all fora. While regretting that such legislation was sanctioned in the first place, the PPP chief assailed the parliament for granting a two-year extension to military courts in 2017, terming it akin to the house “slashing off its nose”. In March 2017, military courts were revived for the next two years after then president Mamnoon Hussain had ratified a National Assembly bill on the matter. The extension, however, had come after more than two months of deliberations and a tug of war between government and opposition parties over the technicalities of military courts’ functioning. The PML-N government at the time had argued that the revival of military courts was imperative keeping in view the issue of terrorism in the country. The PPP, however, had opposed the extension, with veteran leader Naveed Qamar lamenting the state of affairs in the country and saying he “does not believe things will improve in the next two years even if the military courts are revived”. The legislation was aimed at granting legal cover to the military courts for trying civilians charged with terrorism.